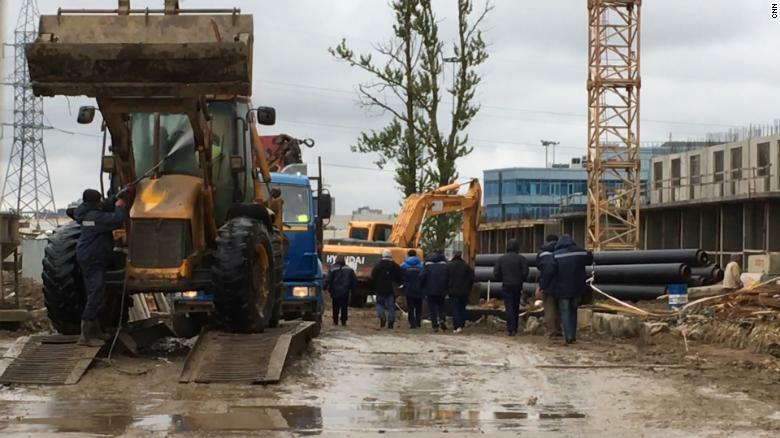 In pre-fabricated buildings, down a muddy track on the outskirts of St. Petersburg lies a world of hidden North Korean labor in Russia. On a construction site near their shabby living quarters, a group of laborers building apartment blocks told CNN they are from North Korea. Working in conditions the US State Department calls “slave-like” labor, they are among an estimated 50,000 workers in Russia from the isolated state. US diplomats say up to 80% of their earnings are sent back to Pyongyang to help prop up the regime of North Korean leader Kim Jong Un. 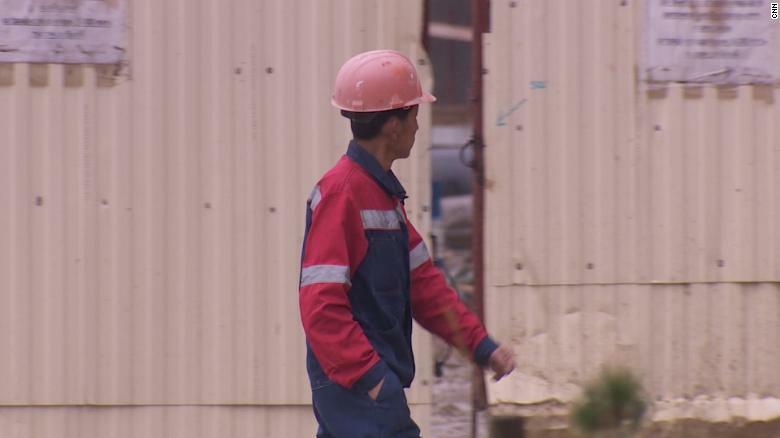 North Korean workers employed on this construction site are very likely to send funds back to their families. The United Nations has expressed concern that this money — totalling $500 million a year from North Korea’s expatriate workers globally — helps to fund Kim’s missile and nuclear programs. According to a UN Security Council resolution aimed at curbing North Korea’s nuclear ambitions, countries are allowed to employ quotas of North Korean workers but not to authorize new work permits. Under the most recent round of sanctions, Resolution 2397 states that all North Korean workers must be sent home by December 2019, cutting off a crucial source of income for Pyongyang. However, because it is unclear how many North Korean workers are currently in Russia, analysts say it is not clear whether all of them will go home. The restriction placed on workers was part of a package of sanctions passed by the Security Council last December, which included limiting North Korea’s oil imports and expanding bans on exports to the country of industrial equipment, machinery and metals. The tougher sanctions were implemented following another North Korean missile test. 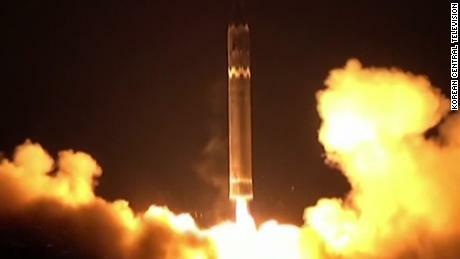 Launched on November 29, the Hwasong-15 reached the highest-ever altitude by a North Korean missile, putting the entire US mainland in range, state media said. Although Russia backed the December UN resolution against North Korea, one senior Russian lawmaker has expressed doubts about the effectiveness of sanctions as a way to limit Kim Jong Un’s ability to develop his weapons program. “Like North Korea, Russia is also under economic sanctions. I am sure that these economic sanctions, including American sanctions, have never had any impact on our domestic or foreign policy,’ Konstantin Kosachev, chairman of the Russian parliamentary Committee on Foreign Affairs, told CNN. “Sanctions are the wrong instrument. This is not the solution to the problem of North Korea,” he said. North Korea dubbed the latest round of sanctions an “act of war” but since they were introduced, tensions have eased on the Korean peninsula with the start of the first face-to-face talks between North and South Korea in almost two years. South Korean President Moon Jae-In credited US President Donald Trump’s pressure campaign with producing the right environment for talks but North Korea’s state news agency hit back, saying that the breakthrough came with better inter-Korean relations. A North Korean worker walks through the building site. “It is unbearable to look at South Korea’s servile attitude of thanking Trump as if the results of inter-Korean talks happened because of their international sanctions and pressures,” said the report. However, according to Alexander Gabuev, chair of the Russia in the Asia-Pacific Program at the Carnegie Moscow Center, Russia’s support of sanctions is begrudging and stems from a desire to prevent pro-western regime change in Pyongyang. “I don’t think Russia really believes in the sanctions,” Gabuev said. 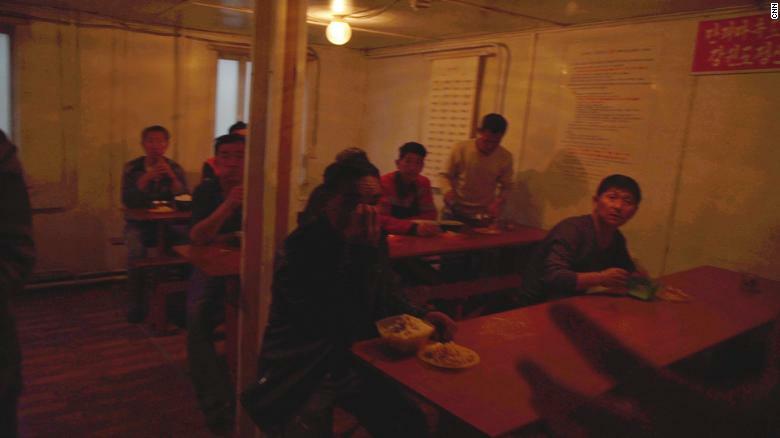 North Korean workers eat lunch in their canteen. Ahead of the adoption of additional sanctions against North Korea last December, Russian President Vladimir Putin was reported by the South Korean presidential spokesman as saying that Russia was against cutting off oil supplies to North Korea. On the building site in St Petersburg, CNN approached camera-shy workers having their lunch in a canteen with signs in Korean on the walls. Positions as overseas laborers are coveted, according to Gabuev, as workers can provide for their families as they take home better wages abroad. But although Russia insists that the money earned by workers is used to help North Koreans to survive, critics believe the reason it continues to employ them is because it wants to avoid pro-western regime change. “The uncontrolled collapse of North Korea means either refugee flows or war, but also ultimately a reunified Korea which is allied to the United States,” Gabuev told CNN. “This could mean US troops on the Russian border which is definitely not something Russia would like to see,” he added. Moscow is engaged in a delicate balancing act — formally backing international sanctions to pressure the North Korean regime, but also extending Pyongyang a crucial lifeline.